The European Union is irrelevant because of its failure to blacklist Hizbullah as a terrorist organization, charges MK Avigdor Lieberman. 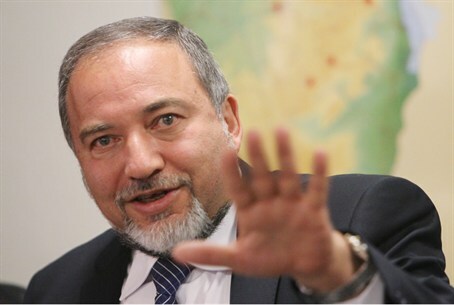 The European Union is irrelevant when it comes to dealing with the Middle East because of its failure to blacklist Hizbullah as a terrorist organization, MK Avigdor Lieberman (Likud-Yisrael Beytenu) said on Monday. "We are in a very dramatic time when one of the things that bother me the most is the conduct of the international community about our region, with an emphasis on the conduct of the European Union," the former Foreign Minister said during the meeting. Earlier, Lieberman sent a harshly worded letter to the EU’s Foreign Policy Chief Catherine Ashton, in which he protested the fact that there was no progress during discussions last week to blacklist Hizbullah. During the discussion, the UK, France, Germany and the Netherlands brought up a proposal to include Hizbullah’s so-called “military wing” on the EU’s list of terrorist organizations, but the discussion ended with no results due to reservations by Ireland, Austria, Sweden and Hungary. Another discussion is set to take place in Brussels later this month. “The exclusion of an organization, which incites to and is actively involved in murder and hatred, on the list of terrorist organizations is hypocrisy which cries out to the heavens. It begs the question as to what other requirements, beyond the facts that are well known, are necessary for Hizbullah’s inclusion,” Lieberman wrote Ashton. He spelled out a series of examples of Hizbullah’s involvement in terrorist activities in Europe, including the Bulgarian report which determined that there are indications that Hizbullah was responsible for the attack in Burgas, as well as the recent conviction of a Hizbullah terrorist in Cyprus over his involvement in planning a terrorist attack against Israeli tourists on the island. "Last week's decision raises many questions, the most important of which is how far the EU is ready to go in order to combat terrorism and how Israel can rely on the EU’s promises to guarantee its security," wrote Lieberman. "I believe that there are many clear reasons for the EU to include Hizbullah on its terrorist list and that there is no satisfactory explanation for not doing so ... excluding Hizbullah from the list of terrorist organizations is surrender to terrorism, with all that entails."